Sports cars make up one of the most beloved automotive genres for car fans. From towering icons like Ferrari, Lamborghini, Porsche, and Corvette to everyman sportsters from Triumph, MG, Sunbeam, and Miata to oddballs like Crosley, Sabra, and DB, sports cars inspire passion and strong opinions as few other vehicles on the road could. 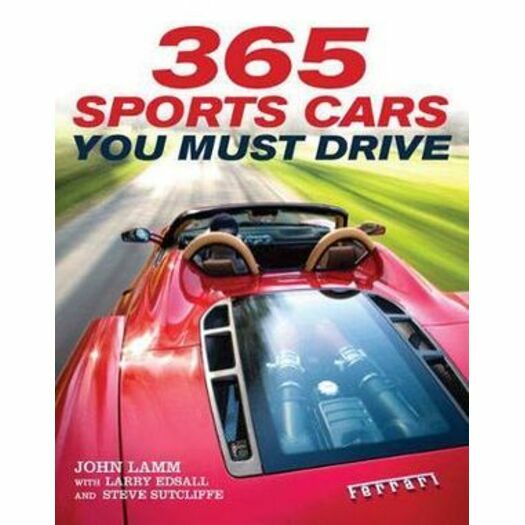 This book,365 Sports Cars You Must Drive, provides capsule overviews and fun facts about the greatest, oddest, most beautiful, and most ill-considered sports cars of all time. How many have you driven, dreamed about, or shuddered at the thought of?